The second of three fundraisers for the MidCoast Takeover showcase happens tonight at recordBar. Get a sweeping overview of KC’s rock scene — starting with the surfy garage rock sounds of Momma’s Boy, the high-octane Delta stomp boogie of Cadillac Flambé and a headlining spot from the sonically furious The Philistines — while supporting local musicians as they head to Austin, Texas in March. Tickets are available. The Rino is your prime Friday night groove spot. Get treated to music from a brand-new local instrumental trio, Like A Tiger, as they release their debut album “Home Movies.” The six-track album vibes on textural, cerebral post-rock/jazz sounds enhanced by live looping and effects. The group will be joined by support from solo artist Miki P and another instrumental trio with a funkier edge — Wrong Kata Trio. In case you missed it yesterday, Dan Calderon provided five tips on how to get the most out of your record collection, with assistance from Vinyl Renaissance co-owner Dan Phillips. 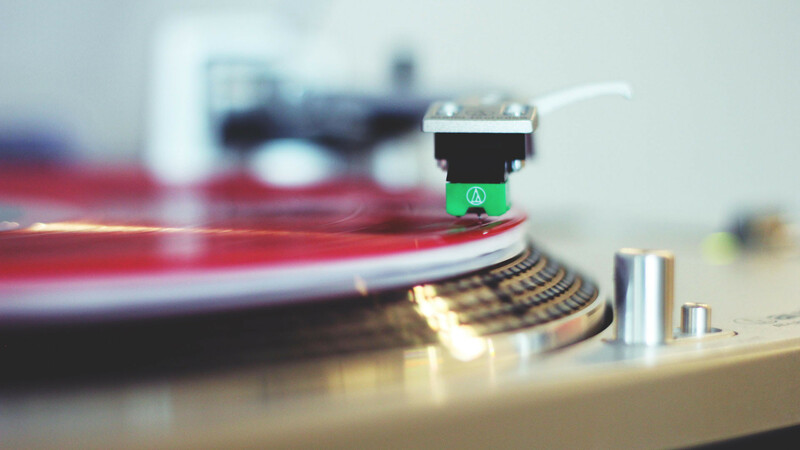 On Saturday from 11 a.m. to 4 p.m., the record store will be hosting a Turntable Clinic, where customers are invited to bring their personal turntables to the store. Representative Chad Stelly of turntable distributor Musical Surroundings will be on hand to check the cartridge alignment and stylus condition of the turntables. This is a free event. Last month’s Rap Asylum was canceled due to inclement weather, but skies are looking clear for this Saturday. Join a few local emcees and producers at the 18th Street Union for a pre-Valentine’s Day jam. Tomorrow’s event includes appearances from VP3 Productions and Trxz Jones, as well as an open mic (by submission only) for singers and instrumentalists. The show will be hosted by jazz, neo-soul and hip-hop singer-songwriter Mae C. Tickets are available. On Sunday evening, a few of distinguished Kansas City musicians are coming together to honor black American history and music with Songs of Freedom. Hosted at the beautiful Community Christian Church on the Plaza, the event will feature the exquisite vocals of Calvin Arsenia and Misha Roberts, along with pianist Everett Freeman, drummer Brad Williams, organist Reggie Watkins and bassist James Ward — performing spirituals, anthems, songs from the Civil Rights Movement and a few feel-good classics as well. Tickets are available. Singer-songwriter Teri Quinn is preparing to release her first music video, and throwing a big premiere blowout on Sunday night. “It Looks Like You’ve Been Found,” a piece that explores the themes of love, life and death, was conceived and produced by Matthew Lloyd and Jaclyn Danger of Cannonball Roarers Screening Collective. Lloyd and Danger are also behind Stray Cat Film Center, a new microcinema in the Crossroads that values inclusivity and community engagement, screens anything from underground cult films to documentaries. Sunday’s show will take place at the Stray Cat, kicking off with music from Honeybee — Makayla Scott of Blue False Indigo — followed by Of Tree and Quinn.